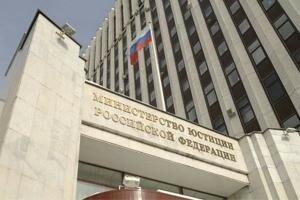 Russia’s Justice Ministry has deployed another tactic to shut down NGOs it says aren’t in compliance with the foreign agent law: suing them in court and demanding their liquidation, opening a new front against Russia’s embattled non-profits, legal experts said Monday. On Thursday, the Russian daily Vedomosti reported that the Supreme Court of the Republic of Tatarstan had upheld Justice Ministry requests to close Agora, a human rights and legal assistance organization that operates in 41 Russian regions. According to Agora’s former chairman, Pavel Chikov, Agora is the first Russian NGO to be torpedoed by a lawsuit. He added that the group plans to appeal the decision. Ella Pamfilova, Russia’s human rights ombudsman, said that should the Justice Ministry’s continue to exploit its new strategy, then Russia would soon have no more human rights organizations, Russian media reported. But about 24 hours after the Agora verdict was publicized, Russian media reported the Justice Ministry had filed suit in a Moscow for closure – this one against Golos, the independent election monitoring NGO. 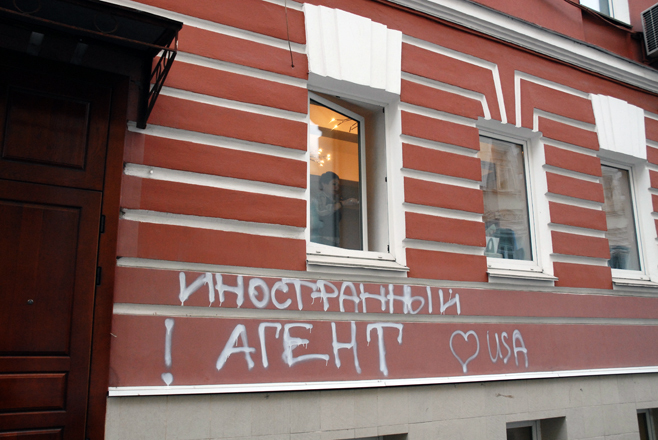 In both cases, Russian analysts have said the organizations were targeted for nickel and dime violations of the 2012 Law on NGOs gathered during unannounced sweeps by law enforcement. For liquidation proceedings to be justified, Russia’s Constitutional Court determined last year that the Justice Department must prove a pattern of significant and repeated breaches of the law. But Artem Alexeyev, director of the Environmental Rights Center (ERC) Bellona and a lawyer with the anti-corruption group Transparency International said the Agora and Golos suits seemed to lower the bar on the Constitutional Court’s ruling. “We can say that the Justice Ministry bringing suits for liquidation of human rights NGOs is a new step in the battle against [Russia’s] third sector,” he said in an email interview. 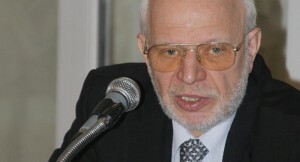 Anita Sobolyov, a member of the Presidential Council on Human Rights and Civil Society agreed, saying offenses like anti-state or extremist activities would typically be considered grounds for liquidation. The original 2012 NGO law stipulated that non-profits in Russia receiving foreign financing and undefined “political activity” must register with the Justice Ministry as foreign agents. This order was universally boycotted. In June 2014, President Vladimir Putin granted the Justice Ministry to name foreign agents on its own. The foreign agent list now contains 114 NGOs, and the number of Russian non-profits has decreased by over a third since the law took effect four years ago. Golos and Agora – which were both forced onto the foreign agent list last year – seem to be a case in point. In its suit against Golos, the Justice Ministry said the organization failed to provide documents for review on time, and more specifically that it failed to provide a change of address to authorities in time after the organization moved, Vedomosti reported. The group also was accused of conducting “political activity,” a term in the NGO law the Justice Ministry has recently tried – and failed – to clarify with a series of amendments. 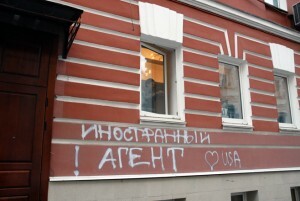 Agora’s act of political activity was specified in the court documents as “purposefully form[ing] public opinion,” reported Vedomosti, quoting from the Justice Ministry’s suit. Meanwhile, other Russian NGOs are bracing for the fallout out of the Justice Ministry’s new bent for lawsuits. Vladimir Slivyak, co-chair of Ecodefense, one of Russia’s oldest ecological and anti-nuclear groups and a Justice Ministry-designated foreign agent, said in an interview that he expected to feel the brunt of the new tactic. 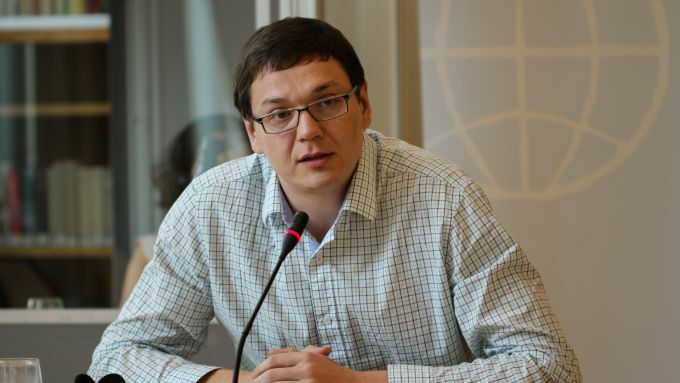 His group was forced onto the foreign agent list in June 2014 when the Justice Ministry determined that its protests against the construction of a nuclear power plant in the Russian enclave of Kaliningrad were political activity. The group has taken a two-pronged approach to dealing with the foreign agent label. On the one hand, it continues to try to clear its name in court. On the other, it continues to refuse to voluntarily register as a foreign agent, and also refuses paying the fines levied against it – a strategy Slivyak said has ironically allowed the group to continue functioning without official interference, for now. The approach, however, makes it especially vulnerable to a Justice Ministry lawsuit, Slivyak said.